If you run a business and you do not employ a CFO chief financial officer may I recommend that you examine why not? 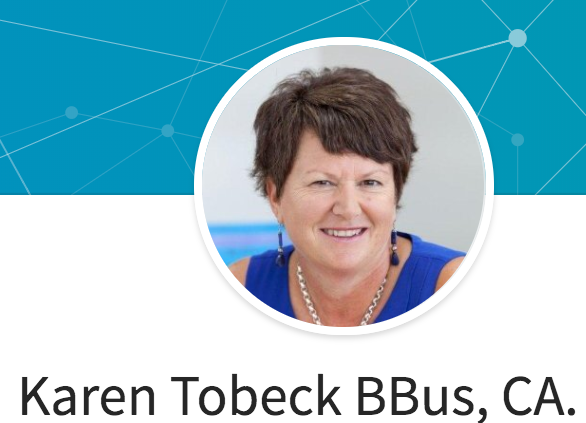 I have spent two years working with Karen Tobeck and value she brings far surpasses the fee I pay. Anybody who runs a business has three skills they need, delivering the product or service, sales and finance. Few people can do two of these. Most people can do one. Nobody can do three. This means is you must identify what you enjoy doing for your business and the one area where you need another advisor. For me, it is finance. Karen provides a monthly check-in with me and bi-monthly business plan goal-setting and results alignment. The key to our successful partnership is that she asks the right questions and helps me to focus with calm objectivity and external focus. Members of my mastermind group have also hired her from their businesses. It does not matter if you already have an accountant or a bookkeeper on board. I have both and neither service is provided by Monteck Carter, Karen’s firm. If I have challenged you today please go and look at her profile and get in touch if you would like an introductory short chat.